← Back in Chalon ! 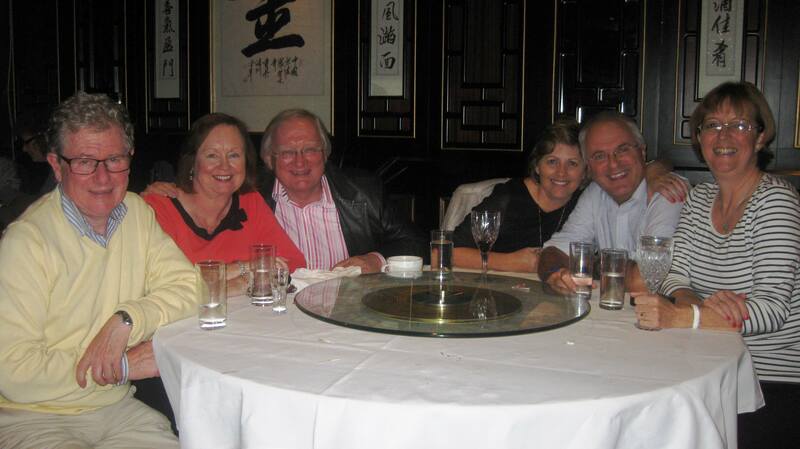 Having never lived abroad, it’s a new experience for Nuala and I, to return home for holidays. I wonder if we are experiencing the same feelings that emigrants, coming home on holidays feel too. Also you notice different things about Ireland. We had a great time when recently home. We wanted to meet up with many friends, families and neighbours, so we were out every day meeting people. We had so many meals out that I don’t think we ate at home once during the week! People went out of their way to meet us, at times to suit our busy schedule. So this blog is a series of photos of some of the people we met. We needed to come back to the boat to detox! As those of you who have read my profile will know, I was born and brought up in Sligo. 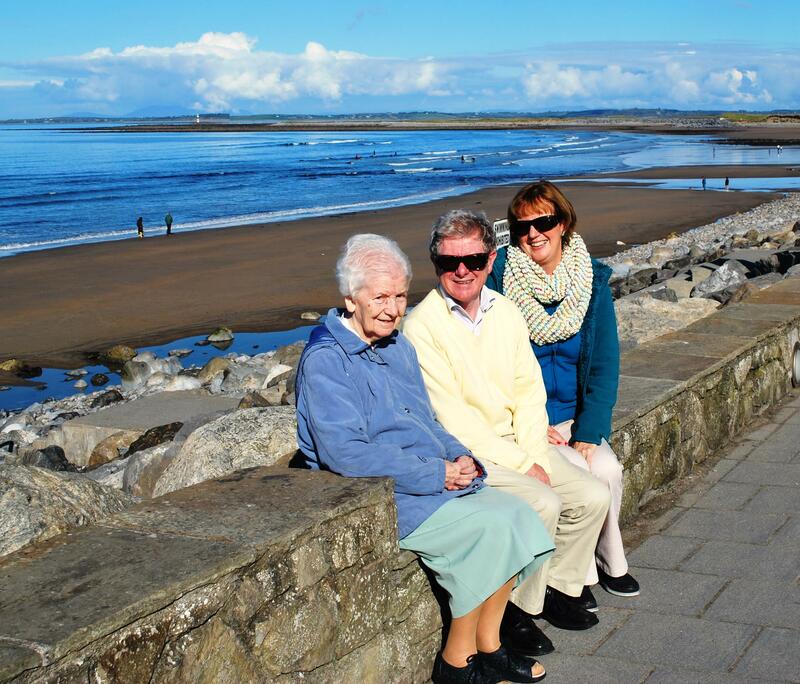 On our return trip, I went to see my mother and catch up with some of my cousins in Sligo. 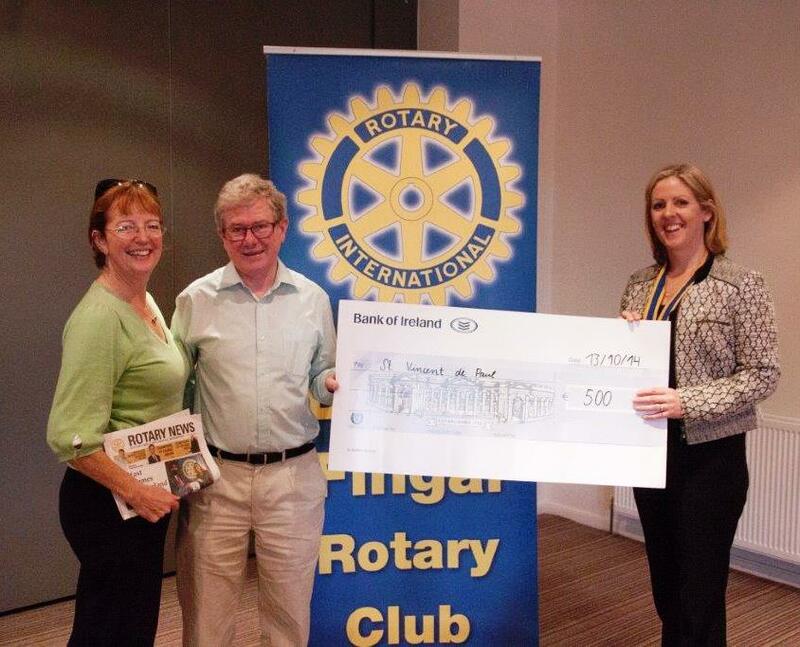 Both Nuala and I visited my Rotary Club Dublin Fingal. There we gave a presentation on where our travels have taken us since we saw them last. (Last time we were home the boat was in Berlin). The club kindly gave us a donation of €500 towards our SVP Charity Fund. Thanks very much to one and all the members particularly the president Andrea Molloy. We now have collected € 1,285 and our target is €2,000 so we are getting there. Some friends are going to donate when we get back in February. We also got the car serviced and ready for the 1400 km road and sea trip back to Chalon sur Saone. We visited our home in Clontarf to collect our bicycles to bring back to France with us. Paddy, Cait and Frankie welcomed us and Paddy helped me load the bikes onto the back of the car. When you are away from Ireland you see it differently than when just visiting. Two things I noticed this time was the friendliness of people on buses, in shops and restaurants and how clean and well painted many of the small towns looked. I think this improvement in the appearance of buildings and people’s attitude is reflected in the fact that The Lonely Planet Guide voted Ireland the 5th best place to visit for 2015. So it is good to see that we have improved our attitude after the giddy days of the Celtic Tiger. We left Ireland looking forward to the second part of our Gap Year when we will explore what it is like to live in a French town for the next four months. We will let you know how we get on. This entry was posted in On the Journey, People We have Meet on the Gap Year, People who have helped us on our way, Places visited and tagged 5th best place to visit for 2015, Andrea Molloy, beauty of Sligo, Benbulben Mountain, Bill Kee, Chalon sur Saone, Clontarf, Fingal Rotary Club, Irish friendliness, living in a french town, lonely planet, Strandhill Sligo, SVP, SVP Fundraising. Bookmark the permalink. How many bikes do you have on the boat now? I estimate 6, the three you had, two from Clontarf and another Strider from UK. Are you going to start a cycle shop from the deck?